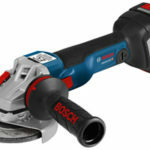 Bosch has a new brushless angle grinder with their latest model the GWS18V-45PSC EC Brushless 4-1/2 Inch Angle Grinder. While it is a new model I wouldn’t say it’s a completely new model but more of a variation of the still new GWS18V-45C 18V EC Brushless 4-1/2 Inch Angle Grinder that I wrote about in November of last year. Both models share the same core features such as a brushless motor which promises not just longer runtimes but better performance than brushed motor grinders, bluetooth connectivity with the Bosch GCY30-4 Bluetooth connectivity module, smart sensor that senses if the tool is dropped and shuts down, a vibration dampening side handle, kickback control to stop the motor if the wheel binds, restart protection to prevent accidental start-up during battery insertion and soft-start technology reduces start-up torque to ease into cuts. 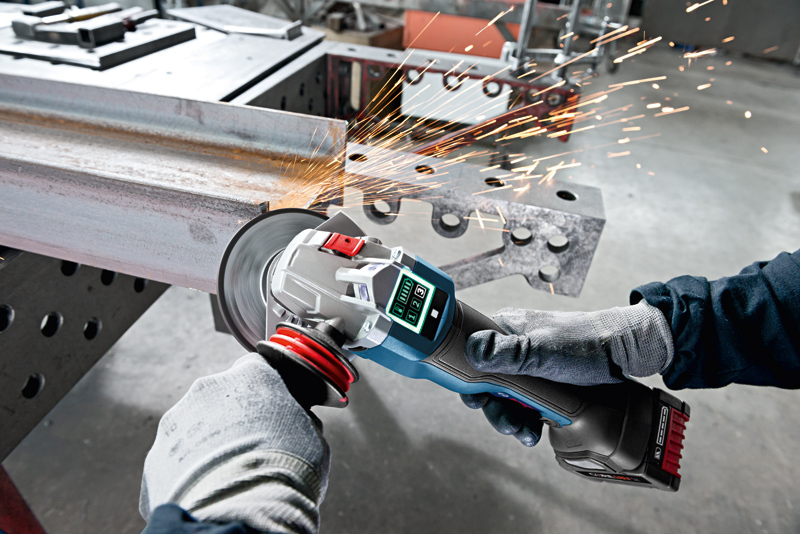 What’s different on the new GWS18V-45PSC model is a feature called HMI which Bosch describes as a Human Machine Interface. 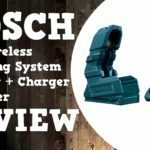 This is a built in display to relay relevant info to the user such as battery charge and the interface lights up various colors to show it’s status. Such as green for operational, yellow identifies an issue with the grinder like kickback, red means the grinder is offline, and blue means the grinder is connected to a mobile device. You can also change the soft start speed using this interface. This newer model uses a paddle switch. 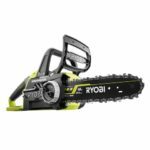 This new model also comes bundled with the Bosch GCY30-4 Bluetooth connectivity module for out of the box bluetooth connectivity using the Bosch app. 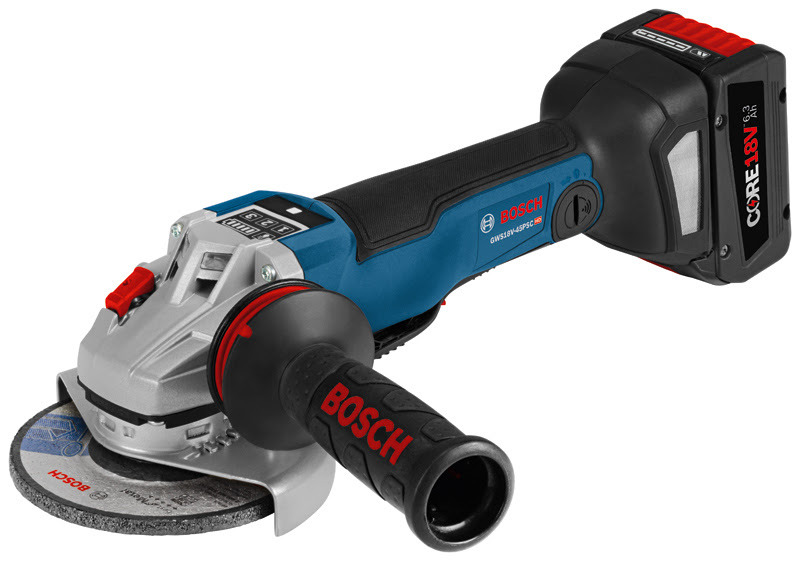 The new grinder will be priced at $299 USD as a kit with their Core 6.3 ah battery and fast charger along with the bluetooth module, side handle, blade guard, and grinding disc.